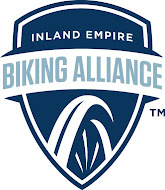 BikeBBQ has been fortunate to partner with all sorts of worthy non-profits and social service providers over the years. Our most recent program was the brain child of an awesome group in San Bernardino called the Center for Employment Opportunities. This year CEO will provide almost 5,000 individuals with a highly structured program of life skill education, short-term paid transitional employment, full-time job placement and post-placement services. When CEO asked if we could provide a handful of bikes for a new loaner program to provide primary transportation for those in their trust, we were pleased to provide support. If you have a bike in the garage that hasn't been ridden in awhile, please consider donating it to BikeBBQ. 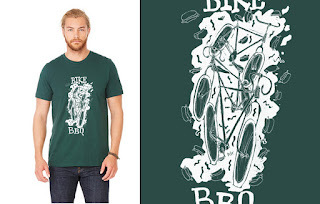 Friends United Network just finished a limited run of BikeBBQ t-shirts. not only did they approach us with the idea for the project, they sourced and donated both the high quality tees and printing. The design is courtesy of the infamous Nikolas Wise. Proceeds will be split evenly between BikeBBQ and the family of our dear friend and rider Jason Mlot. next time you're in the market for custom printing please talk to the guys from FUN! 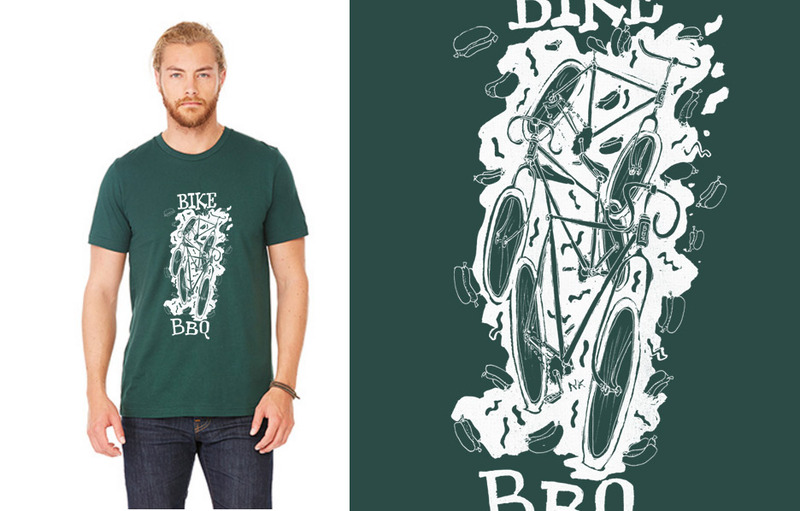 BikeBBQ partners with Micah House (again)! 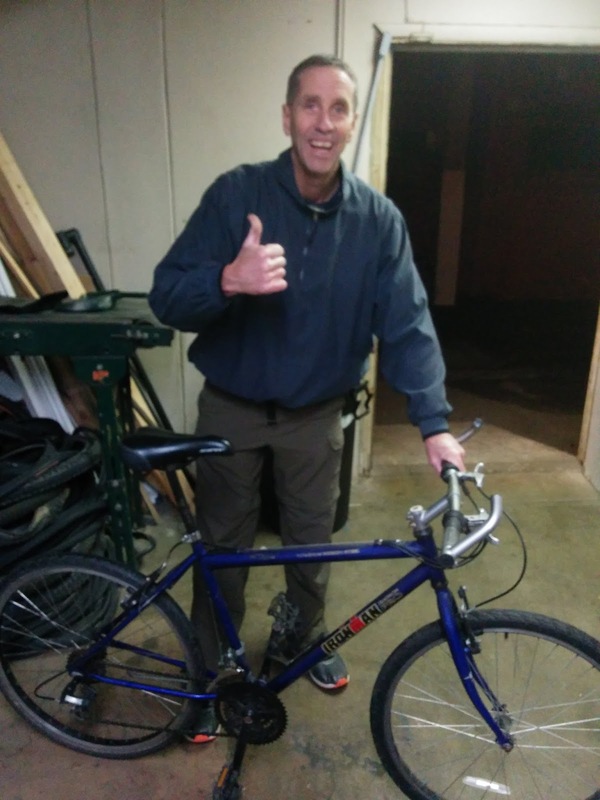 We've teamed up with the great folks from Micah House before, but this time our trusty volunteer Ken took it upon himself to refurbish a couple dozen bikes in varying states of disrepair. He also put together a care package with ~$100 worth of tools and supplies including metric allen wrenches, patch kits, tubes, chain breaker, pump, cables, housing, valve adapters and other essentials for them to help keep the fleet operational for the foreseeable future. We couldn't be more excited to provide a little expertise and technical support to the folks from Micah House. We admire their staff for all they do for underprivileged kids in our community and are pleased to make sure that exercise outdoors always remains part of their programming. Back in February we donated about a dozen bikes to Golden Shores Youth Center in Topock, Arizona. One of our most dedicated volunteers Ken makes trips out there from time to time and handled the project on his own. We were glad to supplement an after-school program that is heavily reliant on donations to operate. The kids are so cute! We couldn't be more proud to announce a new program in partnership with Loma Linda University Medical Center. 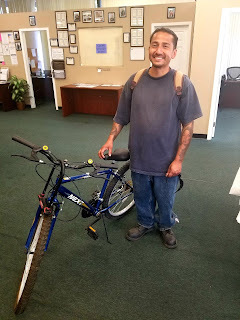 Yesterday we provided our very first free loaner bike to a radiation therapy patient to use during their treatment. Because the treatments are prolonged and patients are typically visiting from out of town, a bicycle offers a special opportunity to serve as both practical transportation and provide physical therapy as well. We are proud to kick off this new endeavor. 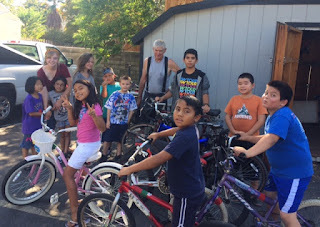 Our thanks to Karla from LLUMC for her help getting things off the ground. Our first program patron, Gary. Godspeed. BikeBBQ will be closed on Thursday 11/24 and Saturday 11/26 so that our faithful volunteers can celebrate Thanksgiving with family and friends.